It wasn’t the first time that Tom Lewis had won the Portugal Masters tournament this September, but the result shows that the English golfer could be finally revealing his true potential. Despite an exceptional start to his career at the Open championship in 2011, Lewis’ career has stalled with a series of setbacks. But the 27-year old star’s astonishing final round at the Portugal Masters shows that the time could be right for a revival in Tom Lewis’ fortunes. Lewis was widely tipped to be the UK’s next golfing great in 2011 where he managed to claim a record-breaking first-round 65 at The Open that was the lowest score by an amateur in the history of the tournament. This was followed up by his first Portugal Masters win later that year, and it seemed that Lewis would be set to follow in the footsteps of Nick Faldo, who also emerged from the Welwyn Garden City Golf Club. However, Lewis’ career couldn’t quite live up to the early hype, and despite a couple of appearances at the US Open in Pinehurst and Shinnecock Hills, he has floundered at the periphery of the golfing scene. With the loss of his European Tour card in 2016, it seemed that we might have seen the last of Lewis, and not even the best golf betting tips at openodds.comcould have predicted that the golfer could turnaround his form. But when Lewis managed to lead the field in the final qualifying at The Open earlier this June, it showed that big changes could be afoot. The quality of his play at Final Qualifying at Prince’s Golf Club in Kent, led to a long overdue appearance at Carnoustie, and whilst he could only manage a tied 47th place, it showed that Lewis might have finally rediscovered his form. So it was all the more impressive when Lewis managed to win the Bridgestone Challenge in September. With a victory of five strokes in very windy conditions at Luton Hoo, Lewis claimed his first appearance in the winners’ circle in seven years and became the first English player to succeed at this tournament. 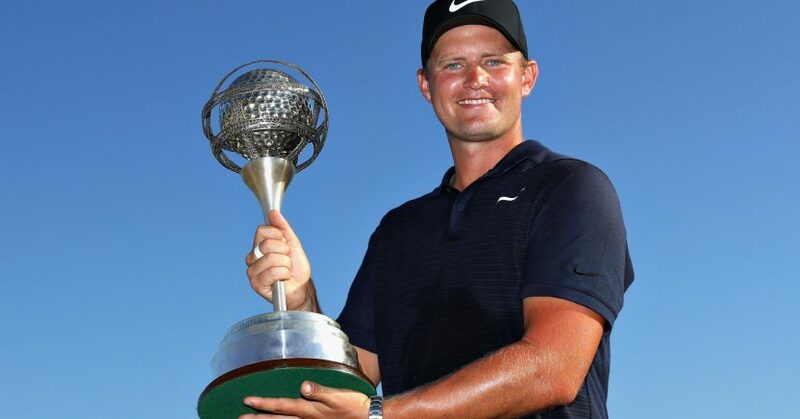 Whilst Lewis has previously been unable to follow on from such impressive performances, the fact that he went on to claim the Portugal Masters title just a couple of weeks later shows that Lewis could have finally found the winning formula. So whilst it’s been a long and difficult journey, hopes are high that Lewis will be a regular on the main European Tour for many years ahead.